Mattel and Toys R Us wanted to promote a new Barbie branded children’s bicycle for the holiday season. 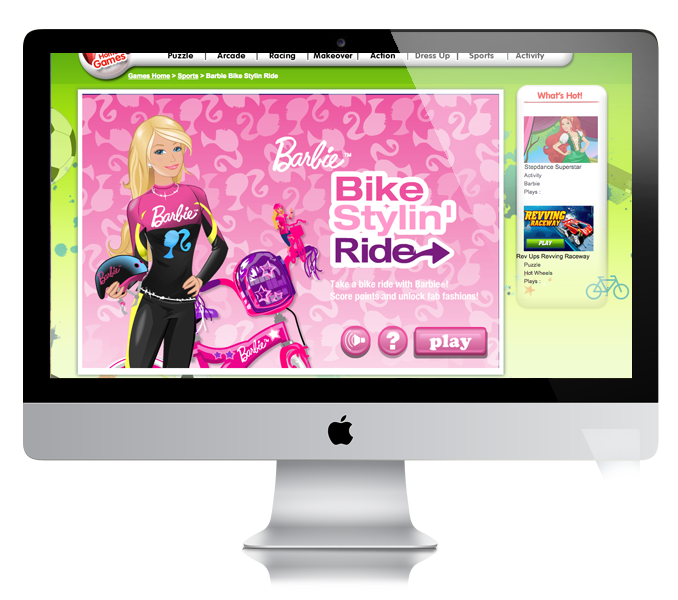 With several thousand young girls and tweens playing games on the Mattel and Barbie brand website each month, an online game was the perfect promotional vehicle. ETA Media weaved in a number of addictive game features like leveling up with bike tricks, the ability to choose more helmets and riding clothes by collecting power ups, and a leader board to increase the re-play value of the game. To this day, the game continues to build fans with each new generation of young girls visiting the Mattel Barbie branded site.